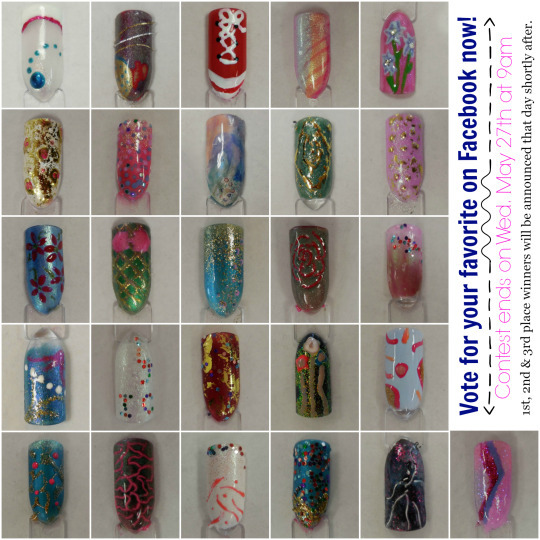 CAST YOUR VOTE: PATH TO PERFECTION – NAIL CONTEST! 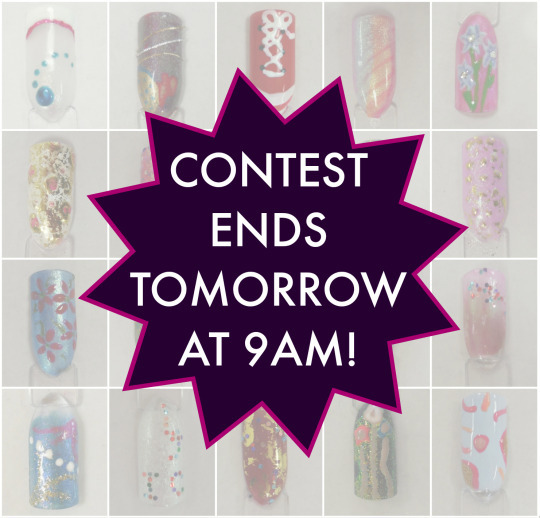 REMINDER: Path to Perfection – Nail Art Contest ends tomorrow at 9am!! Visit our album on Facebook and cast your votes. We will be announcing 1st, 2nd & 3rd place winners tomorrow before noon. Great job everyone!! We want know which one is your favorite! All designs are created by those who participated in this month’s Path to Perfection class. Contest ends at 9am on Wednesday, May 27th and the 1st, 2nd & 3rd place winners will be announced shortly after. The winners will receive an EXCELLENT prize!! GOOD LUCK and let the voting begin!